Synopsis: Does a Lenten book have to be grim? Through Lenten meditations such as "The Woodlouse Sermon," "The Thomist Football League," and "The Girl in the Bikini," Martin Thornton pursues the somber spirituality of Lent with an air of lightheartedness. In the spirit of G. K. Chesterton and C. S. Lewis, Thornton points to the humor of Jesus's parables as he devises his own homespun tales that make a lasting impression with their casual, amusing charm. An excellent resource for Lenten study groups Author Biography: Martin Thornton was one of the leading lights in Anglican theology and spirituality. Of his numerous books, English Spirituality and Spiritual Direction have helped shape the course of ascetical theology. Before his death in June 1986, Thornton served for ten years, as Chancellor of Truro Cathedral. A Joyful Heart was his last book. 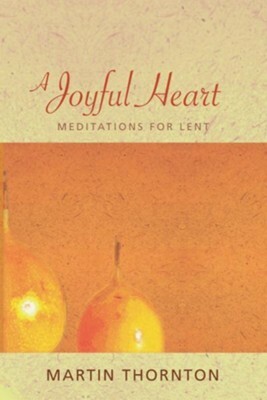 I'm the author/artist and I want to review A Joyful Heart: Meditations for Lent.